Donations for Grand Forks flood victims keep pouring in two months after catastrophic flooding wreaked havoc on the community. 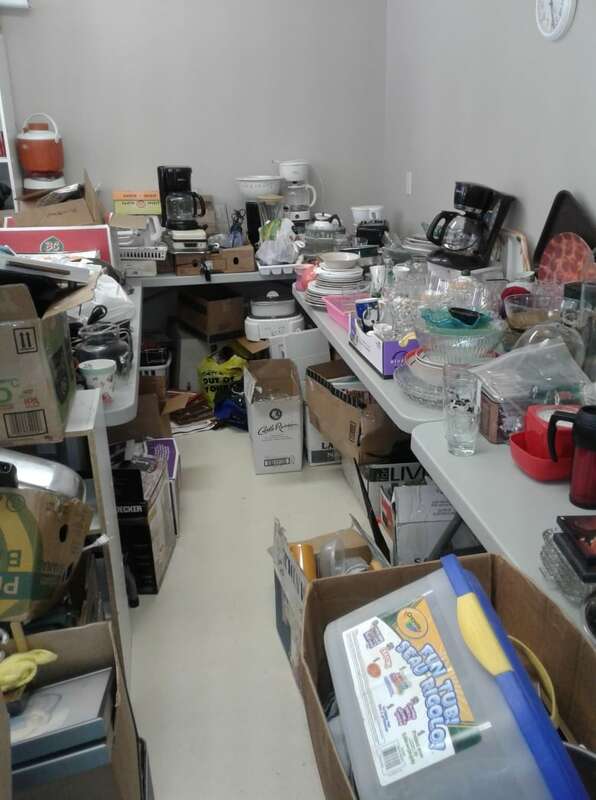 Donations for Grand Forks flood victims keep pouring in two months after catastrophic flooding wreaked havoc on the community — so much so that organizers are running out of space to store the donated items. 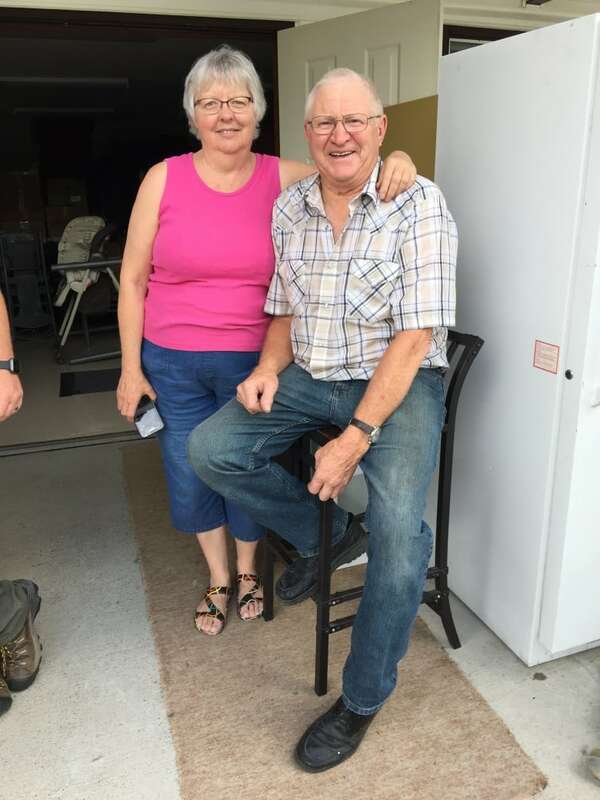 Donna Stoyanowski, who co-ordinates donations on behalf of three Grand Forks churches, said the response to the call for donations has been overwhelming. "It's just kind of snowballed. It's really good," Stoyanowski said. "We're very thankful." She had just had four vehicles, one pulling a trailer, come in with donated items. 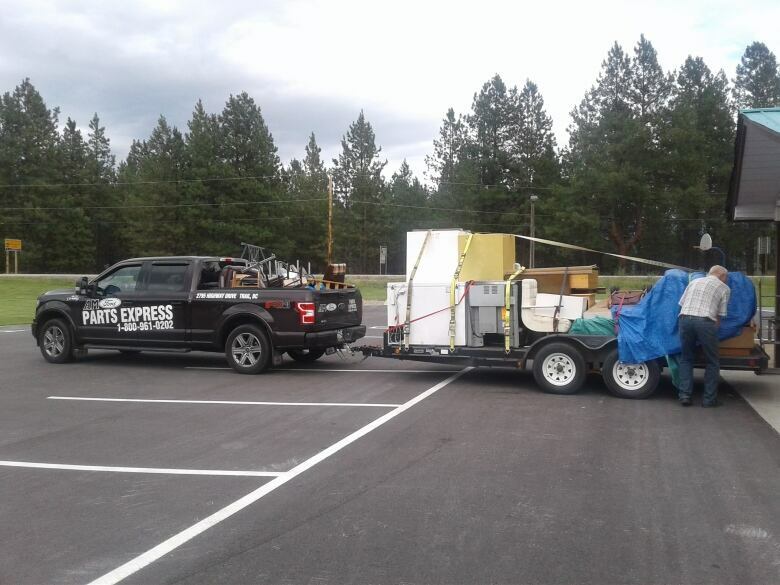 In the coming days, more loads are coming from Osoyoos, Kelowna, Nelson and Castlegar as well as a semi-truck full of items from Alberta. 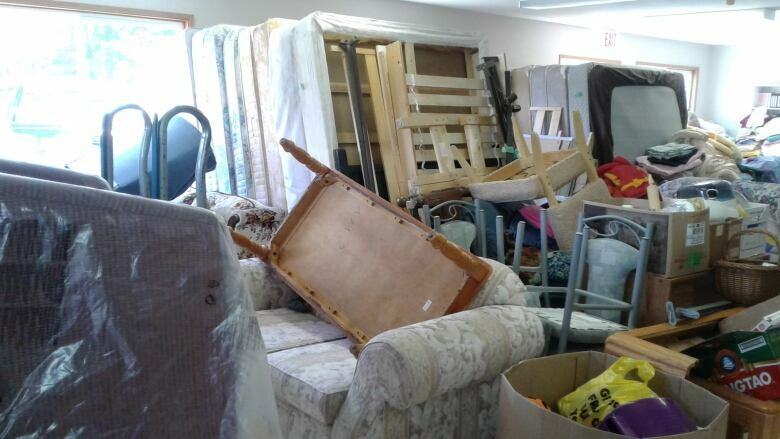 The donations — ranging from furniture to bedding to personal items — are very much needed by those who lost their homes in the floods, Stoyanowski emphasized. Many of the victims did not have insurance and "lost everything," she told Sarah Penton, the host of CBC's Radio West. "Everyone has a story and it's really sad," Stoyanowski said. Many of the people who need the donations, however, cannot yet take them, because they're still cleaning up and repairing their homes. For now, the items are being stored at the church hall and Stoyanowski said plans are underway to put up tarp tents to store the new donations. Kendra Begg, the executive director of the Boundary Country Regional Chamber of Commerce, says a longer term solution is needed for storage. "While we do have these tents coming in, they are sort of a temporary structure," Begg said. "We need long-term storage and that's the piece that I've been working on for what feels like six weeks." She said a large storage container, like a 40-foot shipping container, is needed and temporary housing for those who lost their homes needs to be finalized. "The City of Grand Forks and the regional district, including the Chamber of Commerce, are really pushing to get these things moving," she said. "But it's been a very slow process, so we are running into those logistical problems." The organizations are still accepting donations. With files from Radio West.